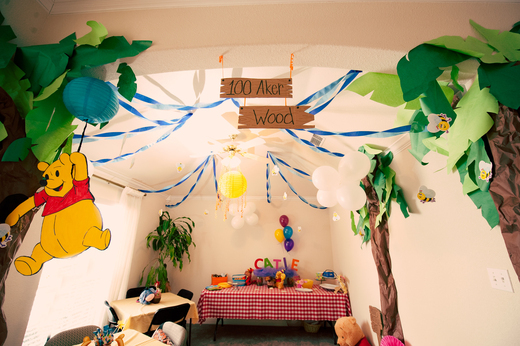 Winnie the Pooh, Winnie the Pooh...why not have the beloved little pooh bear as your party theme. Here are some ideas to help make your party a great success! 1. As always, be sure to check out the Disney Party Blog when you need idea's for any Disney Theme. Click here to get all the details of this party via Twitteredpated. 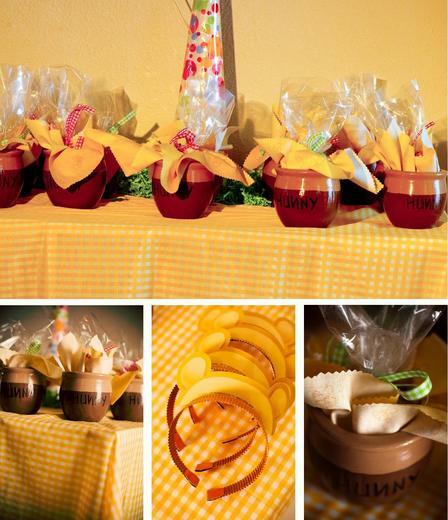 isn't the hunny pots such a cute idea for the favors? Love it! And the headbands...adorable! I love all the attention to detail on this party and most of it is out of paper! So cute! 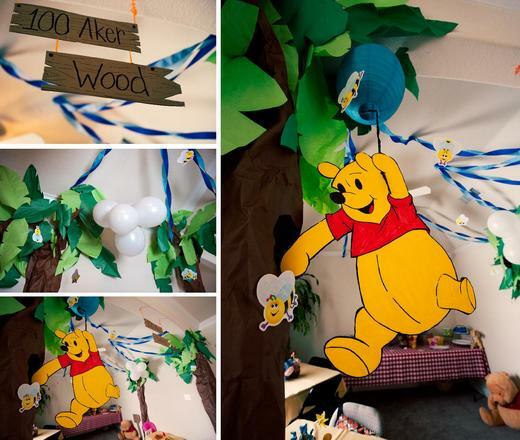 Makes me want to put a Winnie the pooh party together! 2. 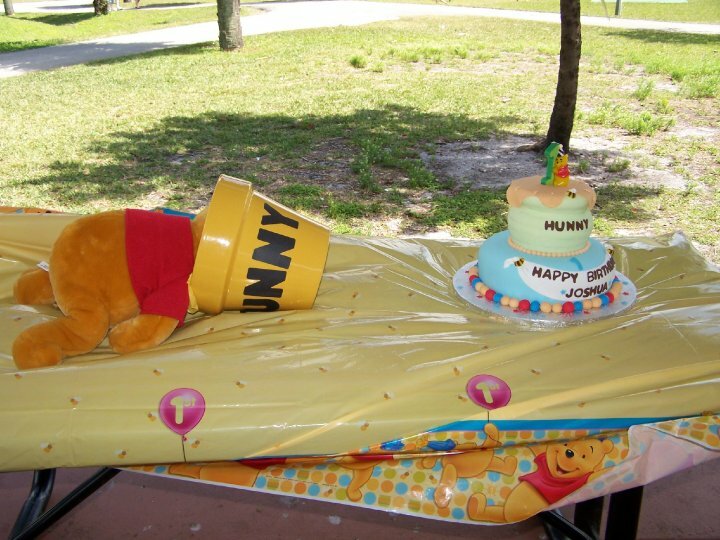 So I just had to include this picture from the Disney Party Blog as well, it's just too cute and funny! 3. This third party comes from none other than Hostess with the Mostess via the Dooby Design Group. Click here to get all the details, there are just too many to post. 4. This feature party comes from Celebrations at Home blog, via Lynlee's Petite Cakes who hosted a Winnie the Pooh Party! Such wonderful and cute ideas.